Yes, we have done it again! 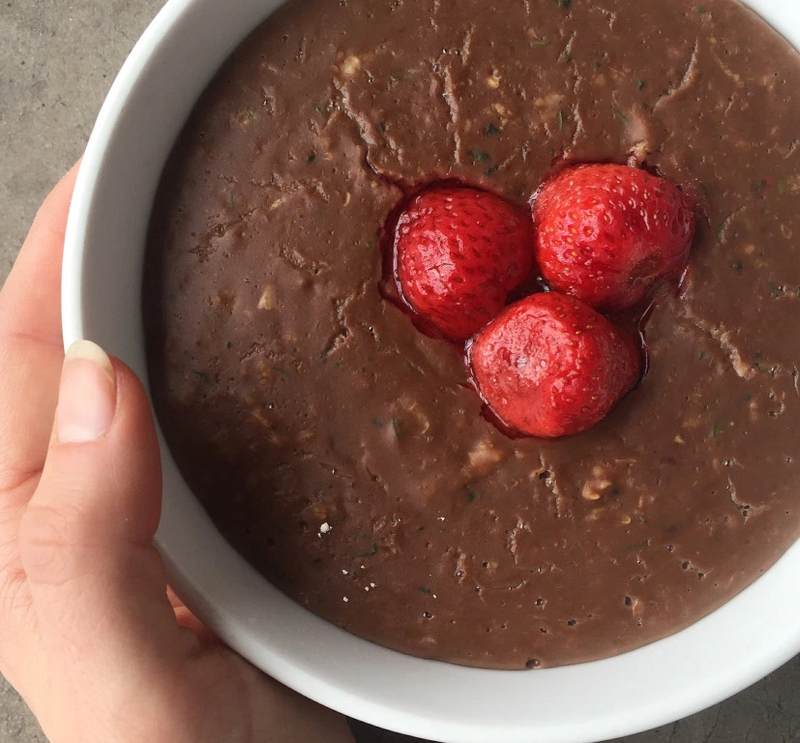 We have teamed up with athlete and fitness blogger Charlotte Clarke to bring you the tastiest, creamiest, metabolism boosting bowl of protein zoats you will find. I think you will agree that they look amazing, below we have this quick and easy recipe that will take your first meal of the day to another level. Throw everything into a pan adding the milk slowly to your desired consistency. We like ours really creamy and ho which is why we’ve use milk instead of water. You can heat the frozen berries in the microwave so you almost get a bit of a sauce on top too! COURGETTE AND GREAN TEA IN PORRIDGE? You can’t taste the courgette at all. The courgette adds extra moisture, is one of your five a day AND swells your bowl to be HUGE! Why not make your oats the biggest bowl you possibly could?! You also can’t taste the Matcha Green Tea Powder. It may sound scary that it’s in there but if you can’t taste it, it boosts your metabolism and gives you energy why wouldn’t you add it in?! 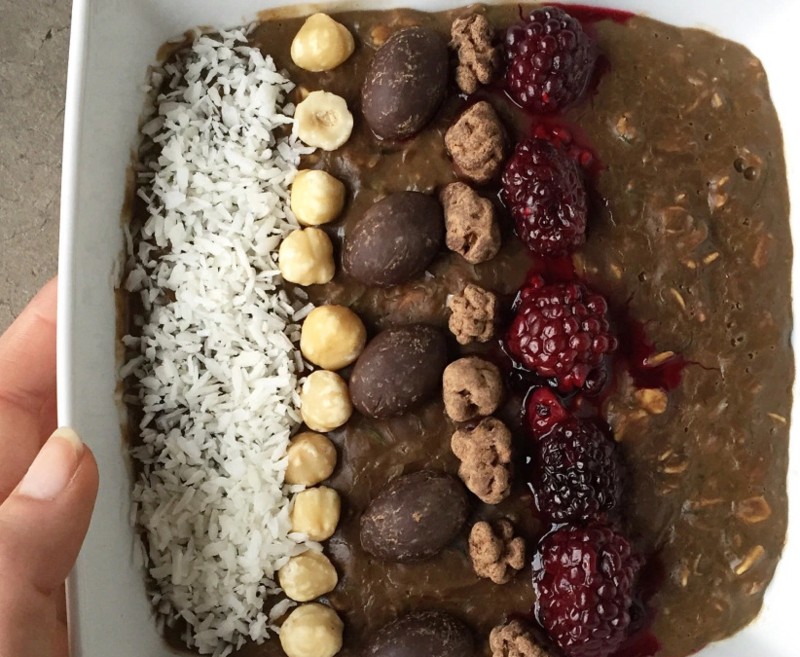 I think you will agree that this creamy oaty bowl tastes like Chocolate Readybrek and will remind you of them happy childhood breakfasts. If we could live on one recipe…. It would be this one! Please do TAG us in your breakfast creations across social media by #preppedandpacked, we love seeing your meal prep and recipe executions. Keep your eyes peeled for some more tasty recipes coming your way here on Prepped & Packed’s blog.